Last month the NY Times reported that it “was welcome news to learn this week that Peter D. Barbey, a Pennsylvanian with an inherited fortune derived from clothing and textile businesses, had bought The Village Voice with the goal of returning the newspaper to its central position, long since vanished, in the city’s cultural firmament.” Now I don’t know if the paper has already gone through the changes that Barbey sought but the most recent issue has an article that is journalism at its best, a profile of a photographer named Marcia Resnick who I became acquainted with in the 1980s through one of my closest friends, a woman named Laura Kronenberg who was one of Marcia’s closest friends as well. The article is an amazing tale of how Marcia became one of the city’s best known and respected chroniclers of a now lost Bohemia, driven out by the high cost of real estate—the same economic pressures that forced Laura to move to Williamsburg where she lived a sad life until her death in 2010. In some ways Laura’s death from alcoholism was related to the loss of Manhattan as a hothouse for artists and poets. Perhaps if it were still a place for a poet, a photographer, a musician or a sculptor to get a foothold, Laura would still be alive. It is a credit to Marcia’s innate talents that she remains a powerful and respected presence in the city. 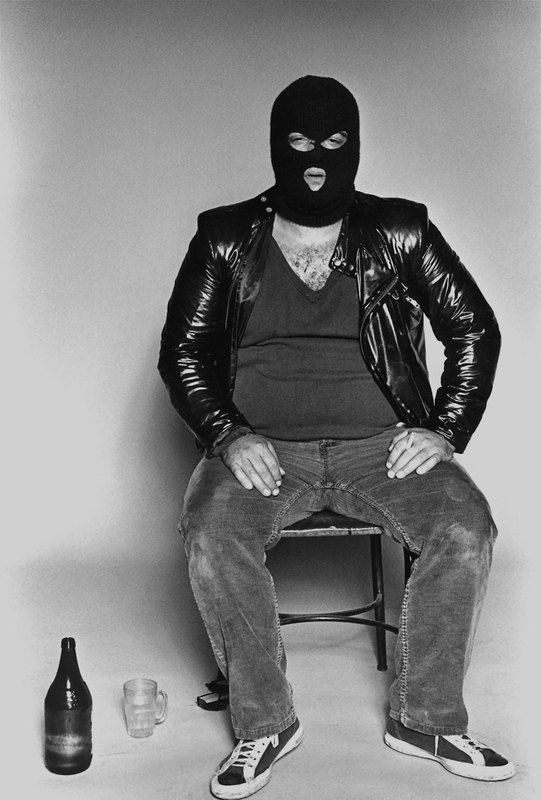 In early September 1981 I spotted John Belushi in the New York after hours club AM PM. I asked him when he was going to do a photo session with me for my series Bad Boys: A Compendium of Punks, Poets and Politicians. He said, “Now”. I didn’t believe him, until upon returning home at six am I saw a limousine waiting in front of my building. I turned on the music as John and his entourage filed into my loft. I then directed John to an area lit by strobe lights and I began shooting. A year after she took this photo, I accompanied Laura up to Marcia’s loft to hang out. In 1982 I was working as a consultant at Mobil Oil and working through the final stages of what amounted to PTSD from my days in the Socialist Workers Party, a cult-sect I had left in late 1978. It had manifested itself as a low-grade fever and kept me from enjoying life. At the time Marcia was married to Wayne Kramer, the guitarist for MC5, the legendary Detroit based rock group that had been managed by John Sinclair, the leader of the White Panthers. Maybe because I was so shell-shocked by my time in the SWP, it didn’t occur to me to chat with Kramer about 60s stuff. I was also too ready to lump any “downtown” people into the general category of Bohemia, a lingering prejudice from my Trotskyist days. Of course, Egypt has gotten much worse since 1977. Women are not just leered at, they are raped and usually with impunity in a nation where all rights have been attacked under the rubric of a “war on Islamic terrorism”. Besides the interesting information the article provides about Marcia’s evolution as an artist, it is a powerful commentary on the transformation of New York into a hedge fund manager’s amusement park. Everywhere you look, old and affordable neighborhoods are being transformed into condominiums, CVS’s, HSBC’s, and restaurants where a pasta dish cost $35. Back in the sixties, when I was at my dogmatic worst, I used to sneer at the counter-culture. When I visited Laura in the late 60s at the Bowery loft she shared with her husband Tony Long, a good friend of mine who died in 2001, we used to argue about whether I had made the right decision to join the SWP. She was opposed to the war in Vietnam but did not think that socialist revolution made any sense. After I lost touch with Laura for the next 10 years as I lived around the country building party branches in Boston, Houston and Kansas City, we finally reunited at a high school reunion and remained good friends until her untimely death. Now that I am a bit older and wiser, my view of social change is a lot more nuanced than it used to be when I saw an American revolution as a repeat of the 1930s with the added dimension of gays, Blacks, feminists et al. I suspect that in many ways the loss of creative expression in places like New York as it turns into a haven for Russian oligarchs living in $20 million apartments will deepen the alienation of ordinary people against what Allen Ginsberg called “moloch” in 1961. Long before I became a political rebel, I was a cultural rebel. When things begin to change for the better in this lost society, the two strands will likely come together and pose a challenge to the status quo unlike any we have seen since the 1960s or maybe its entire history for that matter. For information on Marcia’s new book “Punks, Poets and Provocateurs” that the Voice article was celebrating, go to http://www.marciaresnick.com/.